Weee! Who does not love shopping! At last I got my hands on the palette that I have been dying for! Today I went to Sephora at Komtar JBCC and stroll around. I decided, I have not treat my self for a long time. I decide to shop a few items that has been in my wishlist for so long. 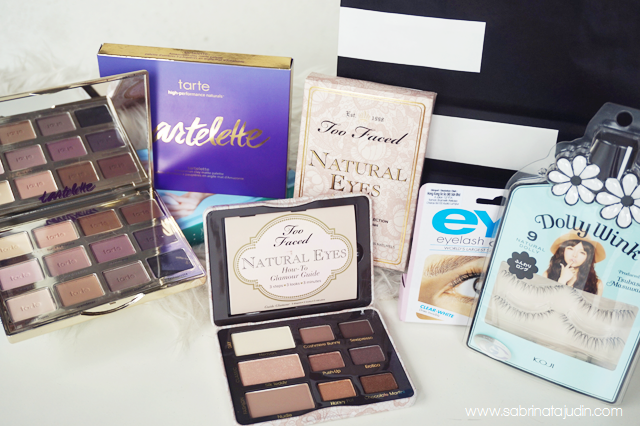 So I got the Too Faced Natural Eye Palette & Tartelette Eyeshadow Palette by Tarte. I picked up the Too Faced Palette because, first, the packaging obviously. Second, its a more cheaper dupe of shade that I love. In the palette it has the shade called Silk Teddy (dupe for UD Naked 1 Sin eyeshadow & Stila Kitten & MAC Naked Lunch), and another shade called Nudie (dupe for UD Naked 1 Naked eyeshadow). Its RM129 for 9 eyeshadow, which is for me the best alternative as the single shadow for UD, Stila or MAC is RM49+ for 1 shade. The second palette I got is the Tarte Tartelatte, got this because ok ok.. first the packaging and second this palette is made and inspire by some of my favorite YouTuber like graveyardgirl aka Bunny & cutiepiemarzia aka Marzia. You can check out about it here - Tarte Tartelette. I am planning to get my hands on the Too Faced Better than s** mascara, unfortunately it is still out of stock. So that is all I got from Sephora. Two eyeshadow palette! yay! Now i can use it to test out my "sample" for my next product launch. wink wink~ Total of all 2 palette are supposely RM304, but because of the Private Sale, I only pay around RM248 including GST! I think that is a great deal! So if you have a Sephora Black Card, head down to your nearest Sephora and shop! This sale is open to all Black Card owner from 20th May 2015 till 23rd May 2015. Storewide discount of 20%! Shop as many times as you want and if you have a friend who want to shop along and she is not a Black Card owner, they can also join by purchasing together with you. ehmagerddd . 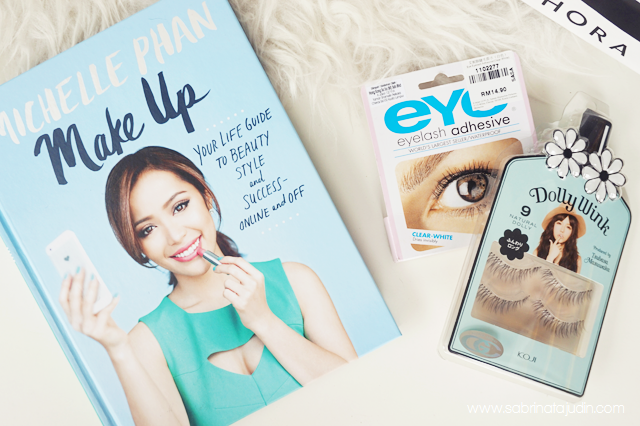 I don't even know that Michelle Phan's book is available at Popular bookstore >.<. Yeay high 5, I actually got the same Too Faced eyeshadow palette from my Lil sister as a birthday gift and I love it. It was on my wishlist for quite a while. Current target for this sale is the foreo luna mini, been on my wishlist since last year so fingers crossed I get to purchase it this time. 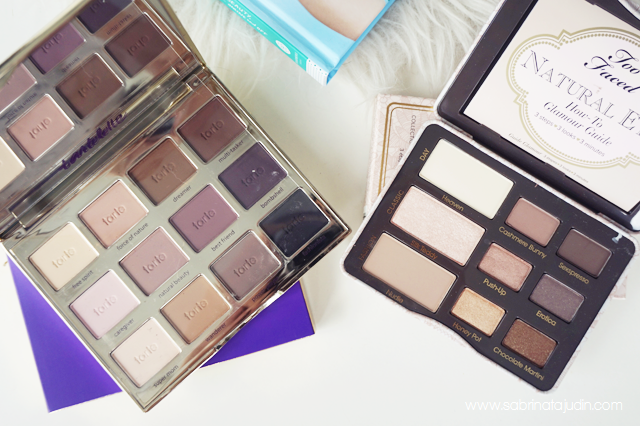 Oh not forgetting the tartelette eyeshadow palette too, that's on my wishlist but since I already have 2 palettes from them I think I shall hold on for a little longer to see if I need it or not, b'coz the shades seems to be similar like the ones I already have. yeay! yep, my naked 1 i really well love and i tink its time for me to have a new natural palette.. hope you will get your foreo soon! that is one cool device! Sab..berapa hrga buku tu sab??? 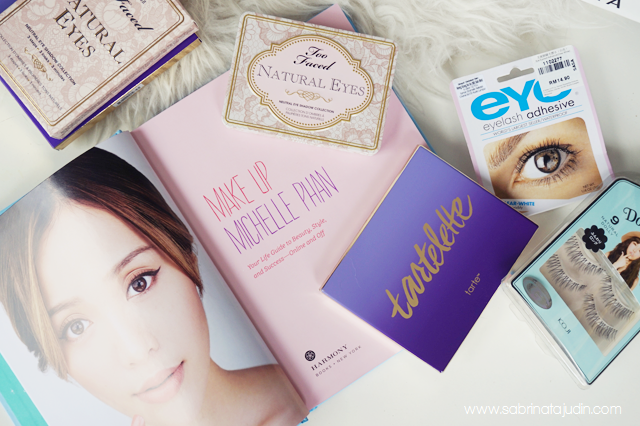 Is tartelette eyeshadow palette available in sasa ? I cant find sephora store nearby. Tq.